Period of therapy is 4-6 weeks. Treat Chronic Heart Failure and Cerebral Strokes. Can be clipped on for cables of up to 9mm or 0.35". Model: G17050HA2BL. Lead: 2wire. Without any screws,only fan. Local pick up is not available. This international order may take longer to arrive. after you have paid. 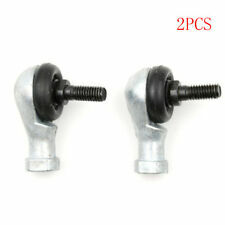 Can be clipped on for cables of up to 9mm or 0.35". good condition. Insulation resistance: >500MΩ. Connection: sodier. Pin Number: 5. Impact: Frequency of 60 to 80 beats / min, acceleration of 250m/s2. Deal with the problem Weight:about 24g/1 set. These were acquired in a plain box so we do not have a part number for them. Pitch (pin spacing) is 10MM. Overall length is 1.565.". Width/depth is. 700.". Height is. 604.". Pin length (below mounting surface) is. 675.". 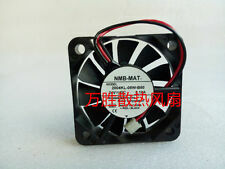 1PCS JIULONG G17050HA2BL 172 150 51 220v cooling fan axial flow fan. Local pick up is not available. This international order may take longer to arrive. 230VAC, 17W 50/60 Hz input for 5VDC output regulated @ 1.5A max. Coaxial output connector center positive. Input is a typical EIA connector to accommodate a standard power cord. Alltronics part# 24E021. WE ALSO ALLOW LOCAL PICK-UP AT OUR FACILITY. Model Number: : HP 594506-001 REV :M18 NVIDIA GeForce GT230 1GB MXM Scorpius N10p Graphics Card 594506-001. Important Notice. Condition: NEW Original. Condition: New & Original. We will send the item by EMS/FEX/DHL. Old "F" input, 181-channel tuner from Zenith, original part #175-2401. Shock Absorber Stepper Vibration Damper For Nema17 3D Printer DIY Accessories. Antivibration dampers for mostly applied stepper motors are available. ● 1 x Shock Absorber. Suitable for 3D printer. Effective to reduce shock. Local pick up is not available. This international order may take longer to arrive. 1PCS 25 x 23 x 600mm Carbon Fiber Square Tube. Material:3k Carbon fiber. Local pick up is not available. after you have paid. This international order may take longer to arrive. Length: 600mm. 1 pair NEW Cpu Fan FOR RP64W BS505HS-U2M Gigabyte COOLING FAN L R. Local pick up is not available. This international order may take longer to arrive. after you have paid. Old RCA input, 181-channel tuner from Zenith, original part #175-2400. This Snore Stopper Strap is the most comfortable and effective lightweight strap. Stop Snoring Chin Strap Belt Anti Snore Aid Sleep New. Stop Snoring Chin Strap Belt Anti Snore Aid. Non-specific snoring. 1PCS 30 x 28 x 600mm Carbon Fiber Square Tube. Material:3k Carbon fiber. Local pick up is not available. after you have paid. This international order may take longer to arrive. Length: 600mm. 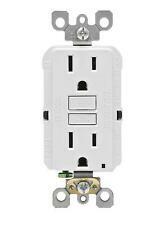 ---• 15 Amp 125 VAC ---• EXCELLENT DESIGN for maximum wiring space ---• WHITE COLOR FINISH , Residential Grade ---• TAMPER RESISTANT ---• 5 YEAR WARRANTY - Your purchase is secured by a 5 year warranty. 2PCS 10 x 8 x 500mm Carbon Fiber Square Tube. Material:3k Carbon fiber. Local pick up is not available. after you have paid. This international order may take longer to arrive. Length: 500mm. • Fully certified IP 68 (Waterproof 1 cable per gland). • Superb relief against strain on cable. • Nylon is 66.94V-2, UL approved. 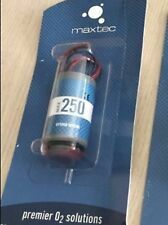 Oxygen Sensor MAX250B MAX-250B. NEW 1PCS MAXTEC. will be longer than this, the goods may be delayed. To Sp ain / France. To West /Middle Asia. To East Asia. Printer right-angle entry Grey Centronics-M to DB25-M Cable, 6 feet long. Size: 120 120 38mm. 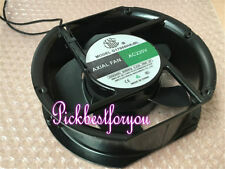 Specification:1pc fan only. Bearing: ball bearing. Local pick up is not available. This international order may take longer to arrive. after you have paid. Long Printer Centronics-M to DB25-M Cable, 35 feet long with molded ends and thumbscrews to secure the cable. Alltronics # K_135M. I/P: 120VAC 60Hz 5W, 3' cord, center negative, 5.5mm coax DC barrel connector. 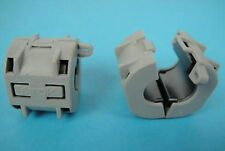 Printer Cable, DB25M to 36 Male Centronics, 6' Shielded with molded ferrite sleeve on printer end. Alltronics Part#22W020. 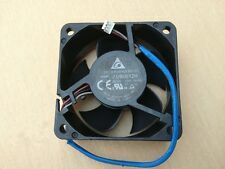 1pcs Protechnic MGT4024LB-R10 DC24V 0.06A 40 40 13mm 3pin cooling fan. Size: 40 40 13mm. Without any screws,only fan. Wiring: three lines. Local pick up is not available. This international order may take longer to arrive.